Good news for all you T riders! MBTA looking to replace Green Line Cars! Faster Trips to Allston Boston University areas! 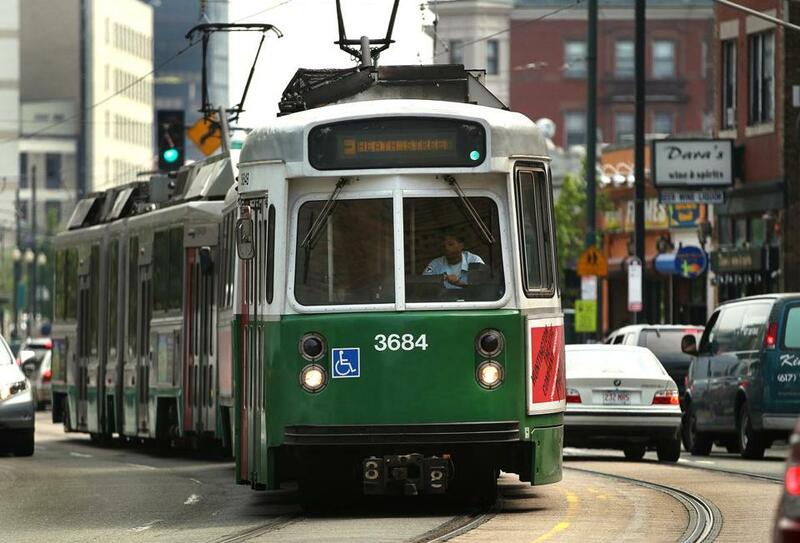 The proposal calls for the MBTA to replace most of its fleet of Green Line trolleys. The MBTA could look to replace much of its aging Green Line fleet and about 50 of its commuter rail locomotives in the coming years, officials said. Steve Poftak, a member of the MBTA’s oversight board, said Monday that a draft plan, due to be released in July, will likely recommend the purchase of hundreds of new Green Line cars and many commuter rail locomotives and coaches. “That’s a procurement we need to get underway,” Poftak said Monday at the board’s meeting. The board is working on a “fleet plan” for future purchases, such as Silver Line buses to add capacity to the current line and replacement commuter rail locomotives. The transit agency is adding Green Line vehicles for its extension into Somerville and Medford, and could also acquire more than 200 vehicles to replace two batches of older cars, Poftak said. The MBTA has long been criticized for its vehicle purchases. Its Hyundai Rotem coaches were rife with defects when they first arrived, and a batch of new Motive Power Inc. commuter rail locomotives had to be sidelined for months before they could be used. MBTA fleets typically consist of several kinds of vehicles from different companies. But Poftak said the agency could move to “simplified fleets” with similar vehicles to help with maintenance. The MBTA has already committed to paying hundreds of millions of dollars to a subsidiary of China Railroad Rolling Stock Corp. to replace its entire Red Line fleet. “We have a habit of ordering very, very highly customized cars,” Transportation Secretary Stephanie Pollack said Monday. That often leaves the T as the only agency with similar vehicles, Pollack said, which can complicate maintenance.